Which country had the most patent applications last year? The US! Which country was next? Which company was the most US patent applications last year? IBM. What other companies were in the top 20? The original version, including a high resolution PDF, is in 2013 US Patent Statistics Infographic. For anybody not following the Alice Corp. v. CLS Bank software patent case, the US Court of Appeals for the Federal Circuit considered it earlier this year. All ten judges heard the case, and came to seven different conclusions! Hence, the conclusion was inconclusive :) There is a fairly good summary in On key software decision, top patent court grinds to a stalemate. Now it appears that the US Supreme Court is going to consider the case, according to Supreme Court will take up messy software ruling from top patent court. This could get very interesting! I think that the breakdown between academic institutions, individual inventors, and corporate bodies is the most interesting statistic. There is currently a proposal in the US to change the law regarding patents, as described in Finally, a bill to end patent trolling. I think that it would be brilliant if this came into law! I previously wrote about Ask Patents in Ask Patents. It appears that it has just had its first victory, and it was against Microsoft! For more details see Victory Lap for Ask Patents. I wonder if this is a once off victory, or the start of many victories! I have heard it before, but it still fascinates me that Microsoft makes more money from Android than from Windows Mobile due to patent royalties! I read an interesting article over the weekend describing how Google was granted a patent for identity management. The article is Google Granted Pseudonym Patent (You’re Welcome. And, What Is Wrong With You), and the patent is US 8,271,894 – Social computing personas for protecting identity in online social interactions. I am sure that there is novelty destroying prior art that has been previously published! I came across Ask Patents today! It seems like a very interesting idea, and it is probably best explained in AskPatents.com: A Stack Exchange To Prevent Bad Patents. It will be interesting to see how it develops! 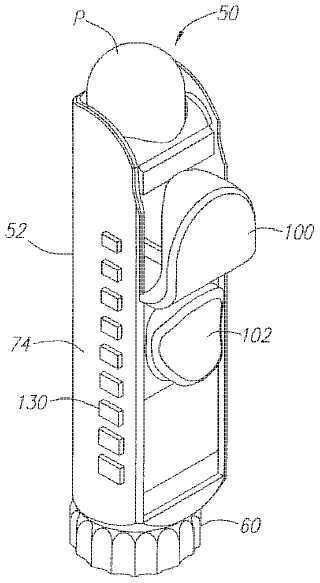 I came across a very interesting US patent recently – US 6,283,658 – Chapstick Dispensing Apparatus. The chapstick dispensing apparatus provides convenient use and asymmetrical, tactile geometry, aiding manual determination of the disposition of the device. The cap for the chapstick dispensing apparatus is slidably, pivotably, or hingeably attached to a housing so that no separate cap is present with its accompanying risk of loss or of being dropped. The housing is generally asymmetrical and may have an asymmetrical series of tactile protrusions to help determine the disposition or attitude of the chapstick dispensing apparatus, even though manual dexterity is limited as by gloves or mittens. A cover having a cap and finger cradle may slidably engage the housing to open or close the dispensing apparatus. The lip balm product is disposed within the housing and may be ejected or retracted by an ejector such as a threaded rod and turnwheel or an elevator controlling a platform. The housing may form a channel for the lips to facilitate application of the lip balm product. The cover may pivotably or hingeably attach to the housing and form a snap-fit in conjunction with the housing and/or oppositely opposed finger grips present on the housing. A lanyard ring may also provide additional utility by allowing the chapstick dispensing apparatus to be hung around a person’s neck or wrist. If you need another clue, the inventor is Carlos Irwin Estevez (click the link to reveal his more well known name)! As somebody pointed-out to me, there is an interesting opinion piece about it in Charlie Sheen’s Patent: Not Winning!. There has been a lot of discussion recently about one of Apple‘s latest granted patents – US 8,223,134 Portable Electronic Device, Method, and Graphical User Interface for Displaying Electronic Lists and Documents. For example, see Apple granted ‘the mother of all smartphone software patents’. I actually think that the patent is being over hyped. I would not be overly concerned about infringing it, because its independent claims are very narrow.